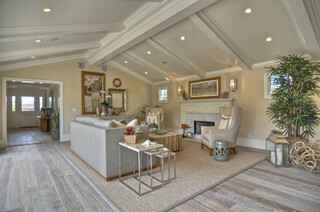 Our favourite website for inspirational ideas for every room is www.houzz.com. Wood inlay with large tiled areas will not be cheap, but it is effective. Contrasting floor finishes section off open planned areas. 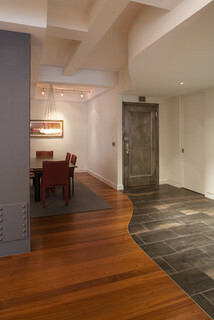 Polished concrete is an inexpensive option and can look striking. Dark wood floors contrast well with light coloured walls and furnishings. 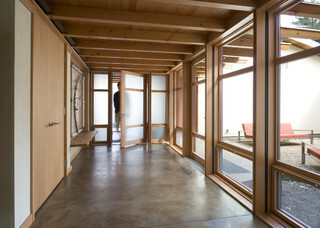 Light wood floors also work with light coloured furnishings and walls.